'Rare photos from the set of the zombie masterpiece!' Fangoria, Issue 337: 4 page excerpt. My favourite part was when they were talking about Romero s first vision of Day of the Dead. I was reading this part and was thinking, This is not the movie I remember . So I backtracked a bit a saw that this was his first vision and not what actually made it to the screen. This alone made it worth reading this book. It gave such a perspective on how much an original vision can change from conception to what really hits the screen. 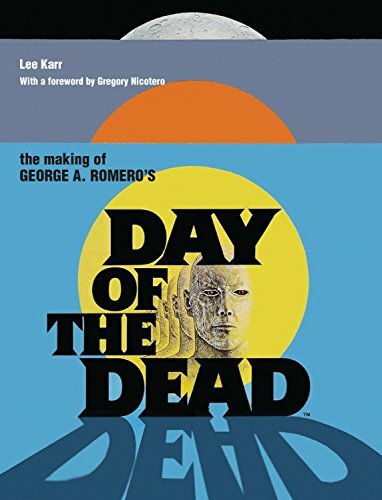 Stephanie Drum, Bea s Book Nook blog"
Released in 1985, Day of the Dead was the final film of George A. Romero's classic zombie trilogy, which forever changed the face of horror filmmaking. Set in an apocalyptic world where the living-dead epidemic has wiped out most of humanity, the movie quickly acquired cult status, and ? with one remake released in 2008 and another planned for 2014 ? its influence on popular culture can still be felt today. Now, for the first time, the full history of the making of the iconic original film is revealed. Drawing on a wealth of exclusive interviews with the cast and crew, author Lee Karr leaves no stone unturned in detailing the movie's preproduction, shoot, release, and legacy. Filled with behind-the-scenes gossip and previously unpublished stories from the set, as well as over 100 full-color photos, this book gives Day of the Dead the resurrection it deserves.